Summary: Chatbots are more prevalent in banking. Some banks are mixing the efficiencies of chatbots with human interaction so they don't lose the human touch. There are all sorts of interesting things going on around us every day. 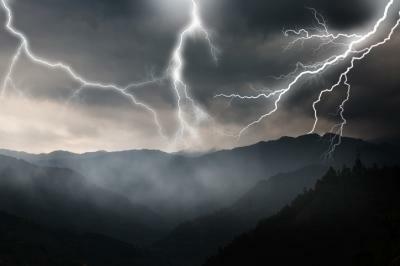 For instance, NASA says there are about 1,800 thunderstorms in progress over the Earth's surface at any given time and lightning strikes hit about 100x each second. As if that weren't enough to get your brain going this morning, consider that The Atlantic reports astronauts can tear up in space, but they can't cry because they are in zero gravity (your eyes make tears but they stick to you as a liquid ball). Bankers are always thinking about how to keep up with shifting customer interests and behaviors. After all, competitors are everywhere and clients are a tricky bunch that seem to be more and more finicky and fickle these days. Enter chatbots, which are really just computer programs designed to simulate a conversation with a human. Chatbots or bots as they are also known are powered by rules, use artificial intelligence (AI) and are found all over social platforms, advertising and all things technology based, it would seem. Chatbots work like a human would on the other side. For instance, let's say you are shopping at Target and you want to buy some shoes. You could go to their website and look around, or you could just message Target on Facebook what you want and a conversation (chat) will ensue where a robotic program (bot) works to help you out and show you options. The idea is to give you the same experience you might get by walking into a store and talking to someone in person. In community banking, it is all about the relationship and this is often thought to be one of human to human. However, as technology and customer behaviors have shifted, some customers are totally comfortable talking to you through a machine (phone, computer). In the coming years, your bank might leverage AI, chatbots and text messages to very efficiently aid some group of key customers, while serving others with those tools augmented by real live (online or in person) human bankers. A number of banks are mixing these techniques and finding some customers are quite happy to interact. For example, an Umpqua branch in Oregon is using its staff to chat and text on the bank's digital channels when foot traffic at the branch is light. The bank also developed AI software with machine learning (this is AI where machines do things for themselves based on interacting with the world and data around them) to enable staff to more effectively help customers when interacting with them via chat and text. Customers can even pick their favorite personal banker on digital channels. The bank's leaders say this enhances the customer's experience even further, which increases their loyalty with the bank, making them "stickier" customers. Moreover, having a friendly face helping customers in digital channels instead of a robot also increases the chances that customers will buy more bank products and services. Here, AI and other technologies are providing insights on the customer's needs behind the scenes. Another example comes from a credit union based in Southern CA. It has a personal teller center where customers can use video ATMs to interact with tellers while conducting transactions. Customers can also call or text their favorite teller at any time when they have questions or need particular services. These so-called video tellers say regular customers enjoy seeing familiar faces on the other end of the screen, making this conversion easier for some customers and cheaper for the bank. Possibly the most interesting case for community bankers is where a bank in CA is dedicating a video chat service specifically to assist its small business customers. Subject-matter experts help entrepreneurs who may need more hand-holding. This bank's video chat service also lets small business customers share charts, graphs, spreadsheets and other documents with their banker to extend a line of credit or obtain additional products and services. There is even consideration now to embed the service within the business banking app. Knowing some of the ways banks are combining technology and personal service is a good place to begin your journey. You might never launch into space, but checking in with customers regularly on changing preferences should keep them from crying. Yields popped 1bp as the Senate passed the tax bill. Goldman Sachs says the protracted bull market in stocks, bonds and credit markets has pushed valuations to their highest level since 1900 and a painful correction could be in the offing. They warn of a bear market eventually surfacing and point out that the only time all three areas (equities, bonds and credit) were expensive at the same time was in the Roaring 20s and Golden 50s. San Francisco Fed President Williams says a Dec rate hike is perfectly reasonable and that the economy is strong enough to keep raising rates over the next few years to 2.50% (current target rate is between 1.00% to 1.25%).